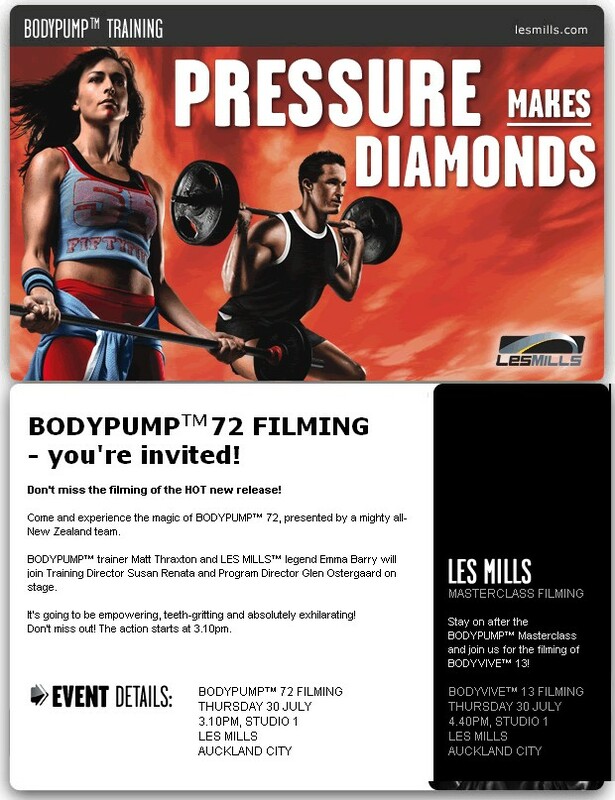 BODYPUMP 72 filming – you’re invited! 10 Responses to "BODYPUMP 72 filming – you’re invited!" Here inBrazil I’ve just been presented for Body Pump 70 and I LOVEEEEEED IT!!!!!! Nice t meet you people!!!! when is the tracklist coming up ? @frgr – It was only filmed 4 days ago. The tracklist won’t be out for a while. Daria lo que fuera para estar ahi en Auckalnd, digo para ser participe del video! aguante bodypump aguante susan! Hi Glen, please add the new tracklist for Argentina!!! !bp72,bb47,ba67,rpm45 and of course bc42! Great to see matt thraxton is back to the presenter team! !